Thursday is the last scheduled day for the 2018 legislative session. With lawmakers needing to approve a supplemental operating budget, time is running out for deals on highly charged issues such as guns and deadly force laws. OLYMPIA — The state House Wednesday approved a last-minute compromise that would change a law that makes it nearly impossible to charge a law-enforcement officer found to have killed someone wrongfully in the line of duty. Lawmakers approved House Bill 3003 on a vote of 73 to 25. The bill would make changes that both law enforcement groups and community advocates agreed upon to Initiative 940, which was sent to the Legislature after years of high-profile police shootings. To complete the deal, the House must still vote to approve I-940, and the Senate will have to pass both bills before the end of Thursday. The compromise comes as lawmakers are trying to finish their work on a handful of highly-charged issues and also approve a supplemental operating budget. If the deal goes through, I-940 would not go to the November election ballot. By avoiding that campaign, “healing between law enforcement and community can begin sooner,” Rep. Roger Goodman, D-Kirkland, chair of the House Public Safety Committee, said during the House floor debate. Gov. Jay Inslee intends to sign the bill quickly, provided the Senate passes it, according to Goodman and Rep. Dave Hayes, R-Camano Island. It wasn’t immediately clear Wednesday whether the deal would pass the Senate. Thursday is the last scheduled day for the 2018 legislative session. House lawmakers Tuesday evening had pushed off a vote on the deal, which would change the statute regarding use of deadly force by officers. Several law-enforcement organizations and the community advocates who gathered signatures for Initiative 940, which is aimed at changing the deadly force law, supported the compromise. Under the agreement, lawmakers would pass I-940 and also approve HB 3003 to change some of the initiative’s language. But Hayes said House lawmakers delayed the vote after hearing that some state senators questioned the constitutionality of making an immediate change to an initiative. Sen. Mike Padden, R-Spokane Valley, said he was among those concerned about HB 3003. “The agreement’s fine, the problem is its method. You’ve got all these people who signed the initiative,” said Padden, who added he also supported a deal that faltered last year on deadly force laws. Under currently law, an officer can’t be convicted of a crime for using deadly force if she or he acted in “good faith” and “without malice,” or what the law describes as evil intent. Some prosecutors have said that is a nearly impossible standard to overcome. The compromise legislation removes “malice” from the law and provides a new definition for “good faith” that community advocates and several law-enforcement groups have agreed to. Also Tuesday night, Sen. David Frockt, D-Seattle, was trying to get the Senate to vote on SB 6620, his assault-weapons and school-safety proposal. 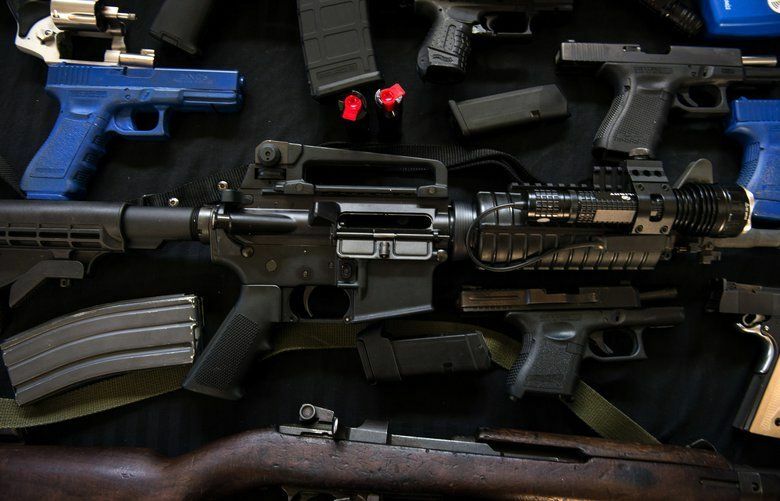 That bill would raise the age to legally purchase semi-automatic rifles and some modified shotguns from 18 to 21, and also require more rigorous background checks for buyers. Frockt’s proposal also includes Republican priorities to improve school safety. But no one knew if there were enough votes to pass the bill in the Senate, where Democrats hold a one-vote majority. The Senate adjourned Tuesday night without bringing the bill to the floor. 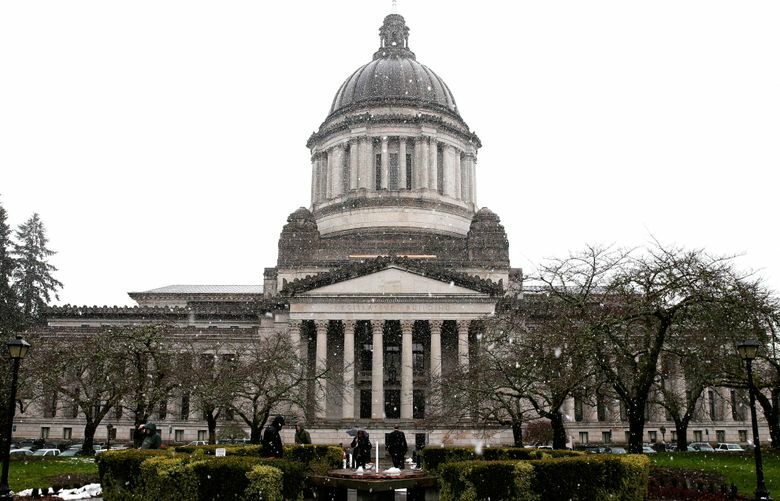 Meanwhile, Washington lawmakers have to review and approve a supplemental operating budget — which is expected to include court-ordered K-12 funding and temporary property-tax cuts. As of Wednesday morning, the final budget plan hadn’t been released. Such a late release puts citizens at a disadvantage in seeing what their elected officials are doing, said Toby Nixon, president of the Washington Coalition for Open Government. It also means rank-and-file lawmakers have little time to review the plan before they vote. People “ought to have an opportunity to see what’s about to be done to them,” Nixon said. Republican lawmakers are decrying one apparent provision in the plan. That provision would ultimately divert money going to the state’s rainy-day fund and use it for a one-year state property-tax cut of 30 cents per $1,000 assessed value, and for other budget purposes. Both Democrats and Republicans have called for temporary cuts to the state property-tax hike they both agreed to last year to fund K-12 education. But Republican lawmakers have argued that higher projected state tax collections mean lawmakers shouldn’t have to use money intended for the rainy-day fund.